The Crab Clan are the Defenders of the Empire. 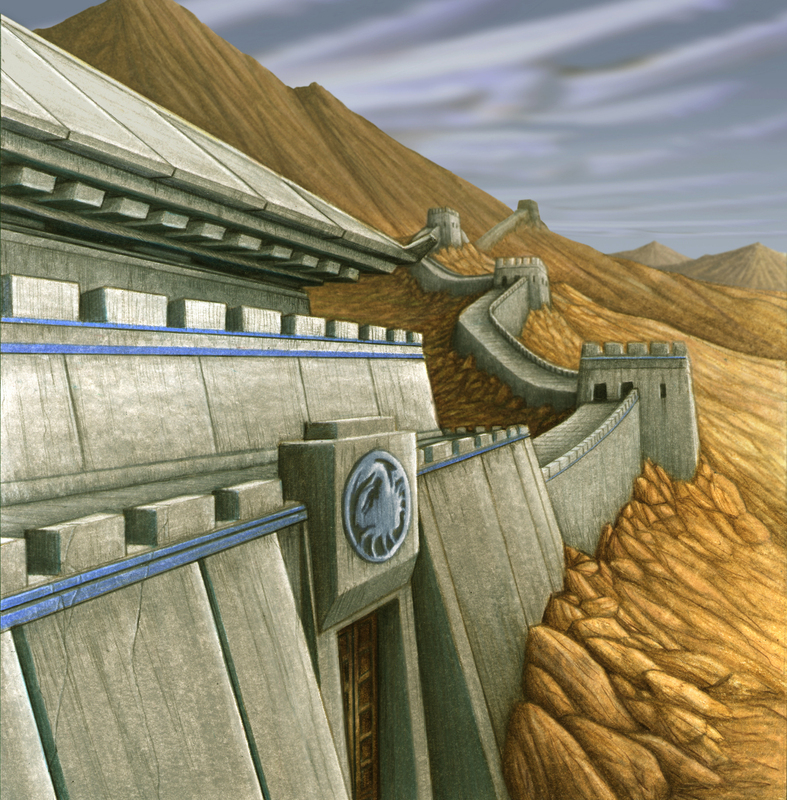 They spend their lives upon the Carpenter Wall, watching the southwestern border of Rokugan for the next attack from the Shadowlands. The Crab Clan was founded by the Kami Hida. Every day the Crab warriors give their lives defending the Wall so that other clans may live in peace and security. The Crab value this duty above everything, even honor. They may be gruff, unkempt and downright rude at times but no one questions their strength or courage. In any gathering of samurai, it is all too easy to pick out a Crab from the members of the other clans. Crab Clan samurai are larger and more powerful than those of virtually any other family or clan in the Empire, and unfortunately, are often ruder, less diplomatic, and less refi ned than others as well. This is not necessarily a deliberate act on the part of the Crab; they simply have radically different priorities than the rest of the Empire. Since the founding of Rokugan, the Crab have stood guard in the south, protecting the Empire from the demons and monstrosities that dwell within the blighted region known as the Shadowlands. While other clans have enjoyed peace and serenity for centuries at a time, the Crab know only war, day in and day out, year upon year. While they certainly do not begrudge their duties, they do tend to resent those more sophisticated and effete samurai who mock the Crab while benefi ting from the protection they afford. Duty is by far the tenet of Bushido the Crab value the most, rivaled only by Courage. Perhaps because of the duties they fulfi ll, the Crab care very little for social niceties, preferring blunt honesty and practicality to polite conversation. 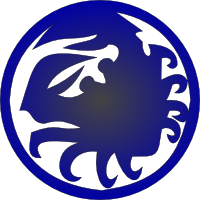 They believe that strength grants the right to rule, and they resent the fact that clans they perceive as weaker, especially the Crane and Scorpion, tend to enjoy more wealth and comforts than they do. The Crab embrace their duty to the Empire, however, because their lord and founder Hida was defeated by Hantei at the dawn of the Empire, proving Hantei to be stronger. For this reason alone, the Crab serve the Emperor faithfully. In times of weak rule, however, some among them have been sorely tempted to wonder why a Crab upon the throne might not be a more reasonable solution for the Empire as a whole. The Crab were founded by Hida, the largest and most physically powerful of the children of the Sun and Moon. Although not a dullard by any means, Hida was nevertheless generally unconcerned with studying things such as religion or philosophy. He gathered together only the most powerful and fearsome warriors to bear his name, and the Hida family has been acknowledged, grudgingly in some cases, as among the greatest warriors of the Empire for centuries. The Hida have ruled the Crab Clan well for a thousand years, not only by excelling at the war which is the clan’s birthright, but also by understanding the importance of delegating duties to gifted subordinates, which the Hida are fortunate to have in abundance. The ranks of the Crab are not limited to the Hida family. The Hiruma, the oldest servants of the Hida, are gifted scouts and yojimbo, emphasizing speed and athleticism over the Hida’s strength. The Kaiu are brilliant engineers and tacticians, and advise their lords on all matters related to warfare. The much-maligned Kuni have sacrifi ced much to understand the enemies the Crab face, and these shugenja are frequently accused of terrible acts by other families within the Empire. The wily Yasuki, who joined the clan after the First Yasuki War, are vastly different from the rest of the Crab, and are both exceptional merchants and extremely manipulative politicians, serving the clan in the courts. The Toritaka family, part of the Crab for less than a century, are well-versed in the spirits and undead that can slip past the Great Carpenter Wall, and assist in hunting down those who have escaped the Crab’s notice. The Crab lands are largely mountainous, with some small degree of open land in the northern foothills and scattered among the peaks of their various mountain ranges, notably the Twilight Mountains and the Wall Above the Ocean Mountains. A portion of their lands, primarily those of the Kuni and Hiruma, have suffered terribly from previous assaults by the Shadowlands, and are almost completely barren. As a result, the Crab are forced to import a great deal of their food. Fortunately, the mountains are rich in ore, giving them ample supplies for trade. The Crab hate the Crane Clan almost as much as they hate their Shadowland foes. The Crane are everything the Crab despise - weak, elusive and relying on commerce and politics to offset their cowardice. They believe the Crane to have little to no military might, and yet they own more land than any other clan. They do not defend themselves, rather relying upon the words of the Emperor or might of allies. Had it not been for the necessary war against the Shadowlands the Crab would most likely have launched an all out attack on the Crane centuries ago. The Crane-Crab War was probably the largest encounter between the two clans, resulting in the breaking of the Yasuki family from the Crane. 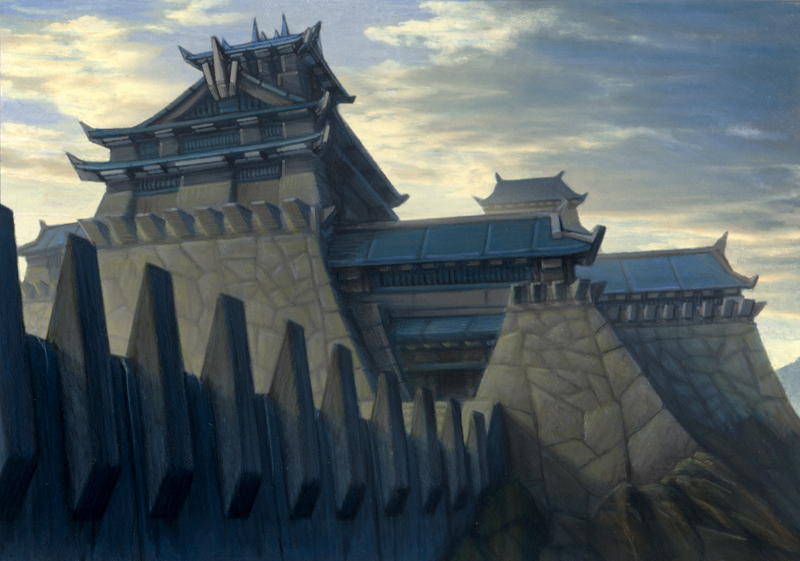 Because the Yasuki became the Crab's diplomats they were not allowed within the lands of the Crane and the Black Crane Palace where the Yasuki host visiting dignitaries was barred to the Crane. To remedy these issues to an extent the Crab had a small number of Hida and Hiruma trained as courtiers specifically for negotiations with the Crane. The only exception to the hatred of the Crane is the Daidoji family, whom the Hida family in general have a very high regard for. Since the First Yasuki War, as the Crane-Crab War has come to be known, the two clans have fought over the transfer of Clan ties. They clans fought the Second Yasuki War which was later brought to a peaceful resolution when Emerald Champion Yasuki Hachi swore fealty to both the Crab and Crane solving the disagreement.The Third Yasuki War, came about as a result of Hachi's death. The Crab received information indicating that Hachi was not in fact of the Yasuki line, and thus claimed that the family would therefore be exclusively Crab. Few in Rokugan can understand the mysterious Dragon Clan, and the Crab are no exception to this. The Crab don't trust what they cannot understand and the Crab, infuriated over the Tattooed Orders isolation from the outside world, label the Dragon as cowards. The other families within the Dragon are more respected by the Crab. The Mirumoto family for their military skills, the Kitsuki magistrates for their honorable dealings with the rest of the Empire. When the Agasha were still a part of the Dragon they created a interesting relationship with the Kuni family despite the famous Agasha aloofness. The Kuni would frequently send oni ichor or goblin entrails to the Agasha for identification and inspection, cementing a relationship based upon mutual interests. The Crab have a grudging respect for the Lion Clan. They don't care for the Lion as a rule, but they cannot ignore their tactical prowess. The only problem the Crab really have with the Lion is one of philosophy. The Lion boast of honor in defending the Emperor, but without achievements this is merely words. The Lion's rigid adherence to abstract philisophic notions of honor often cause the Crab to see them as arrogant and posturing to no useful result. Ironically, it is the pacifistic Phoenix Clan that the Crab have evinced the most respect for. The two clans have never quarreled over land due to the geographic distance between them, and their other interests are so different they have never had cause to disagree. The Phoenix often speak their mind, and while the Crab ignore their cries for peace they still respect the openness of the Phoenix. The power of the magic the Phoenix possess is never dismissed and the Kuni have never hesitated to go to the Isawa when they need aid. The Crab despise the Scorpion Clan only slightly less than the Crane. Scorpions are deceptive and tricky like the Crane, but unlike the Crane they show a wary respect to the Crab. Having clashed before, the Scorpion know it is not wise to anger the Crab. The Crab try to have as little to do with the Scorpion as possible, although this sometimes plays into the ploys of the Scorpion. The Crab and Scorpion clashed in the Crab-Scorpion War. Conflict begun when Bayushi Paneki began sending his ninja to assassinate Hida Kisada. The level of warfare was relatively low key, with Scorpion assassins killing several Crab gunsos and the Crab raiding some Scorpion villages. The war ended when Bayushi Paneki successfully convinced Kisada that any ninja sent against him were acting outside of Paneki's orders. The Crab view the Unicorn Clan as kindred spirits in a way. They are much like the Crab in that their strange customs make them outsiders in Rokugan and their martial prowess marks them as true warriors. Since the return of the Unicorn, the two have more or less been allies, and a particularly strong bond was forged between the Shinjo family and the Hiruma. Generally speaking, the Crab and the Mantis Clan get along quite well. The Mantis' strange customs (some of which are actually Crab customs as well) make them outsiders in Rokugan in the much same way as the Crab and the Unicorn, and the Crab understand that while the martial prowess of the Mantis tends to be specialized for naval conflict, on the high seas they are powerful indeed. The Crab also get along well with them on a personal basis, as the Mantis are often just as willing to speak their minds as the Crab and are flexible enough to be comfortable in virtually any situation. Moreover, the Mantis are of the blood of Hida, and while they do not stand on the Wall, the Crab do understand the purpose they serve in guarding Rokugan's ocean borders. Lastly, the Mantis have always been ready to lend their aid to the Crab when called upon. Despite their reputation as pirates and opportunists, the Crab remember well Kaimetsu-Uo and the Mantis' role in the apprehension of Osano-Wo's killer, and they have not forgotten the aid their Mantis brothers gave them freely at the Battle of the Cresting Wave. The Crab view most minor clans with a great degree of favor, respecting them for their relative strength compared to their size. The Crab share borders with the both the Hare and Sparrow Clans, providing a sort of buffer between them and the Scorpion Clan. The nearby minor clan daimyo's are wise enough to not draw the wrath of the Crab, and view them as allies should the Crane or Scorpion turn upon them. Badger Clan founded in 110 by Hida Domogu. Boar Clan founded in 447 by formerly lost Crab. Falcon Clan founded by Crab ashigaru in 834. Fuzake family founded in 1129 by Yasuki Garou. Mantis Clan founded by Kaimetsu-Uo, son of Hida Osano-Wo in 80. Where as most Rokugani despise the Nezumi, the Crab recognize them as crucial assets in the fight against the Shadowlands. Their immunity to the Taint as well as intimate knowledge of areas of the Shadowlands mean that they were excellent scouts. The Hiruma Scouts frequently use ratlings as additional eyes and ears, all in exchange for cheap jewelry or food. The occasional betrayal of the Crab by a Ratling Tribe is taken very seriously, resulting in the Crab wiping out the tribe to make an example of them. Crab samurai hate to think that they will die, not fearing a death on the Carpenter Wall, but dying of old age. To become a monk and sit idle and useless seeking Enlightenment while others defend the Empire would bring deep shame to any true Crab. This is why most elderly samurai instead take a position at a Crab bushi dojo, so that the young can gain by their experience. Only the infirmed or insane retire to the monasteries. Most Crab superstitions stem from their proximity to the Shadowlands, and they usually have a grain of sense to them. The Crab consider obsidian an extremely unlucky stone, for it is a perversion of pure jade. A person struck by lightening who survives is believed to be to be blessed by Osano-Wo, and can see the future. Many Crab farmers hang bowls of rice at the edge of their fields to keep goblins away (this is in fact quite effective as it attracts friendly Nezumi, who kill goblins). To embark on any important task while in a foul temper invites misfortune, for it wastes anger that could otherwise be used to gain strength against one's enemies. The Toritaka family believe that a man with one eye is destined to bring troubled ghosts to rest. The magic of the Crab Clan is usually more practical form than that of other shugenja, and Crab are much more willing to share their magical knowledge with those outside their Clan.